Cal Wilson came across the Tasman in 2003 and has gone on to become one of our most popular comedians, a perennial favourite on television shows such as ‘Spicks and Specks’, ‘Good News Week’ and ‘Thank God You’re Here’. 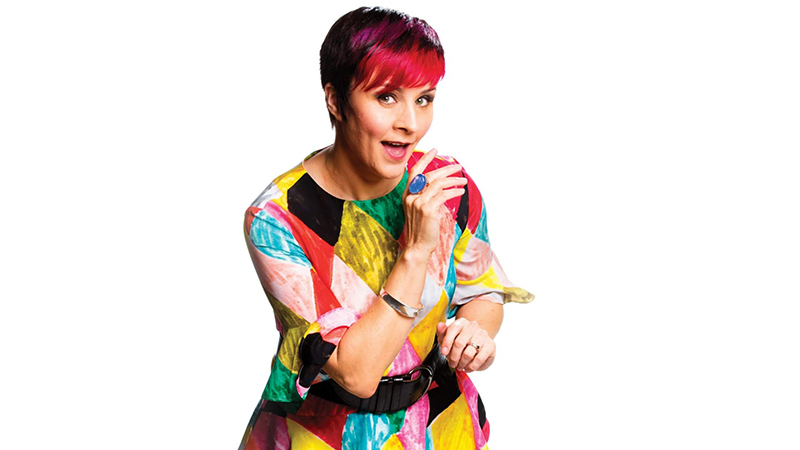 Her comedy career started back in New Zealand in 1990 where she was a founding member of the Court Jesters improv group, and was part of the NZ team that won the World Theatresports title in Los Angeles in 1994. In 1997, she received the inaugural ‘Billy T Award’, New Zealand’s most prestigious comedy award recognizing comedians with outstanding potential, and was judged Best Comedian 2000, by Metro Magazine. However, like all great New Zealand talent, Australia has claimed her as its own and Cal has made Melbourne her home for the past 10 years. 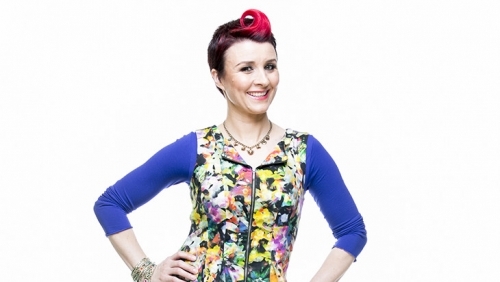 Her live performances demonstrate her enormous talent as a stand-up comedian. 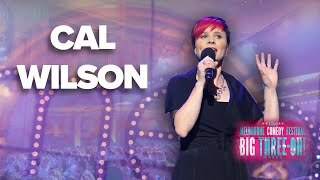 Her festival shows play to sold out houses, and garner rave reviews: In 2001 Cal won the Best Newcomer Award at the Melbourne International Comedy Festival, and has performed in line up shows and solo shows to every corner of the country since. 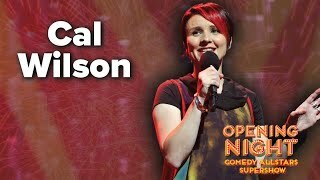 Since then, Cal has appeared three times at the prestigious, invitation only, Montreal Just For Laughs Festival, and has performed twice in her own shows at the Edinburgh Festival Fringe. A much loved regular guest on television shows such as ‘Spicks and Specks’, ‘Good News Week’, ‘Have You Been Paying Attention’ and ‘Thank God You’re Here’, Cal was also the host of ABC’s ‘Sleuth 101’. A highlight for Cal was appearing on ‘QI Live’, the Australian live stage tour with Stephen Fry and Alan Davies which then resulted in her being invited to the UK to be a guest on two episodes of the BBC television series. If television and live performance wasn’t enough, Cal is also an experienced radio host, co-hosting Nova’s national Drive Show ‘The Wrong Way Home’, with Akmal in 2007 & 2008. In 2009 she joined Dylan Lewis co -hosting mornings on Nova 100. 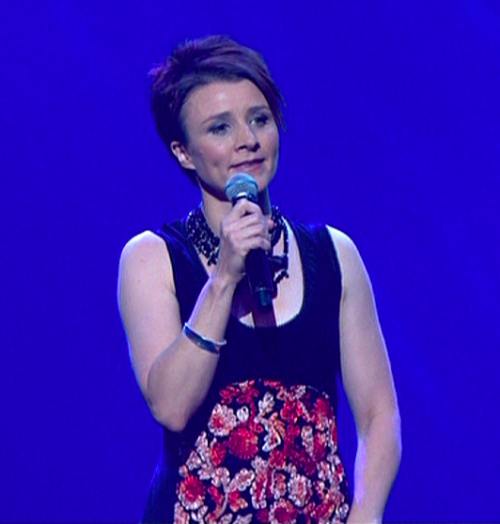 2010 saw her filling in for 3 months on Vega Breakfast with Ian ‘Dicko’ Dickson, after he broke his co-host Dave O’Neil, and she’s consistently a regular guest on shows across the country. In 2013, Cal was seen on Australian TV screens as a team captain each week on SlideShow, Channel Seven’s smash hit spontaneous entertainment show. In 2016, Cal will star as an ensemble cast member of the new Australian version of world-wide hit show Whose Line Is It Anyway. 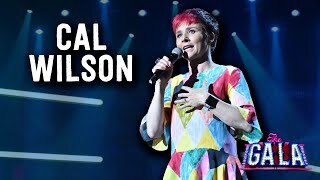 She also performed at the Melbourne International Comedy Festival 30th anniversary gala, supported Alan Carr on his national tour, was selected to perform at Just For Laughs Sydney and toured regional Australia as part of the MICF Roadshow. Cal is also a sought after MC for corporate events, and is exceptionally handy with a glue gun. Various corporate clients including The Commonwealth Bank, Subway, P&O, Coca Cola, Optus, Air NZ, Bank of Queensland, Australia Post, RSPCA and Mars.